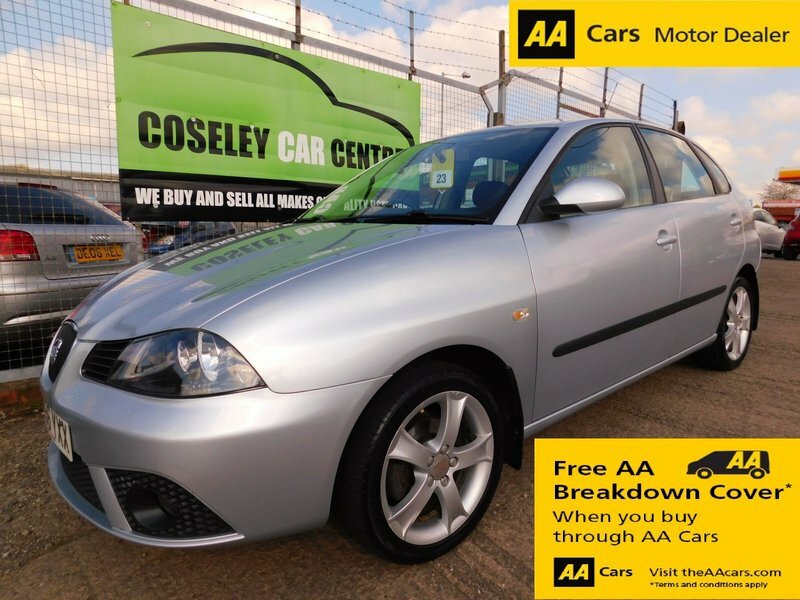 HERE WE HAVE A FASTIDIOUSLY MAINTAINED EXAMPLE OF THE POPULAR SEAT IBIZA 5 DOOR COMING IN 'SPORT' SPEC IN STRIKING 'LUNA GREY' METALLIC PAINTWORK. IT HAS ONLY EVER HAD THE 1 LADY OWNER PLUS DEALER FROM NEW AND IT COMES WITH A LONG MOT UNTIL OCTOBER 2019. THERE IS AN INCREDIBLE SERVICE HISTORY SHOWING NO LESS 13 SERVICES AT 3K, 10K, 15K, 22K, 27K, 31K, 33K, 37K, 40K, 45K, 47K, 50K CAMBELT, 53K AND WE HAVE A TOTAL OF NO LESS THAN 31 SERVICE INVOICES TO PROVE HOW WELL IT HAS BEEN MAINTAINED. AS YOU CAN IMAGINE THE INTERIOR IS UNMARKED BUT THERE ARE A FEW BLEMISHES AROUND THE BODY AND IF YOU WERE REALLY FUSSY THE WHEELS MIGHT BENEFIT FROM A REFURB, BUT FOR IT'S AGE IT IS IN GOOD CONDITION. IT COMES WITH AIR CON, CD PLAYER, REMOTE CENTRAL LOCKING, ELECTRIC WINDOWS etc etc. THERE ARE 2 KEYS, A FULL BOOKPACK, 3 MONTHS UPGRADEABLE WARRANTY AND 12 MONTHS FREE AA COVER.